Celebrate World Pride 2019 in New York City on the Water! June 2019 is World Pride in New York City! Celebrate equal rights for the LGBTQ of the world on our NYC Pride Fireworks Cruise, or come support the Hetrick-Martin Institute (HMI) on our weekly fundraising Pride Sails! Located in Chelsea, at Chelsea Piers, Pier 62, Classic Harbor Line (CHL) has annually enjoyed celebrating pride week by being on the water for the culminating fireworks at the end of the Pride Dance, the last Sunday in June. Anyone can celebrate Pride. And anyone can join these cruises which will depart for exquisite viewing of the fireworks on Sunday night. Each departure for the Pride fireworks display is 2 to 2.5 hours and are $72 per guest. Additionally, this year, as a major supporter of the trans, non-binary, and gender non-conforming community, CHL also collaborates on behalf of the Hetrick-Martin Institute. The objective is to fundraise to the support programs for youth with these identities. 100% of net ticket sales from the their Trans New York Harbor Pride Sails will go to HMI. These sails depart every Saturday in June 10:30 A.M. These 2 hours sails upon the schooner Adirondack or schooner America 2.0 include complimentary mimosas and a nearly 400 square foot Pride Flag flying proudly from the mainsail as they pass the Statue of Liberty. Tickets are $75/ guest. 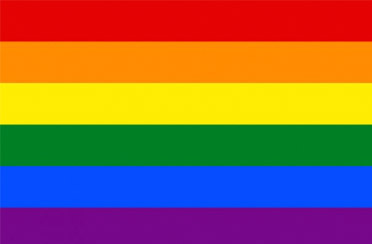 Click here to see what activities we offer for NYC Pride.